This beautiful Mobile App Ui Kit is perfect for your next design project. It is designed to be cross-platform so use this kit for your next iOS or Android project. This kit can be customised to suit your needs. From E-commerce to news to social. Just drag & drop the elements that you need. It’s super easy. 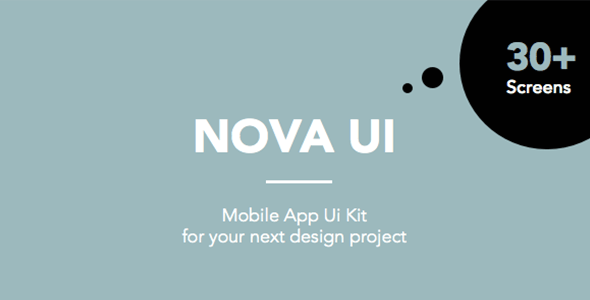 Nova UI kit will give you a great kick start to any design project. What will you do with all the extra time on your hands? We have created over 30 screens to easy mix and match what you need in no time. You get over 30 screens in a complete, well names and structures sketch file. Bohemian Sketch is the best tool to create app designs. You can also download the free trial on the Bohemian Sketch website.